An Indian Navy submarine INS Sindhurakshak submerged off the Mumbai Port after a huge explosion - leaving dead at least 18 sailors on-board. Witnesses described the accident as a huge fireball that shot hundreds of feet in air. 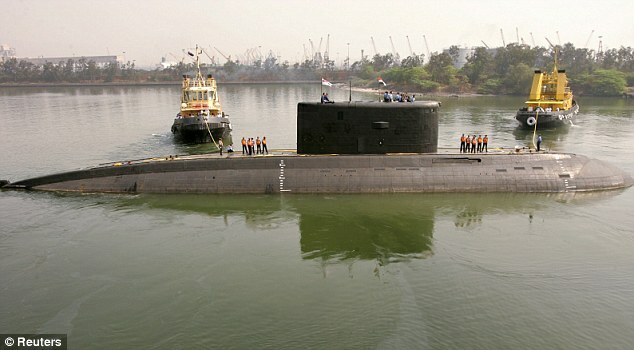 The submarine is believed to be nearly submerged after fire in home port of Mumbai. One man standing outside the dockyard said he heard a sound like a rocket or jet engine, then a blast, while another witness said the sky turned red.